And we’re off! 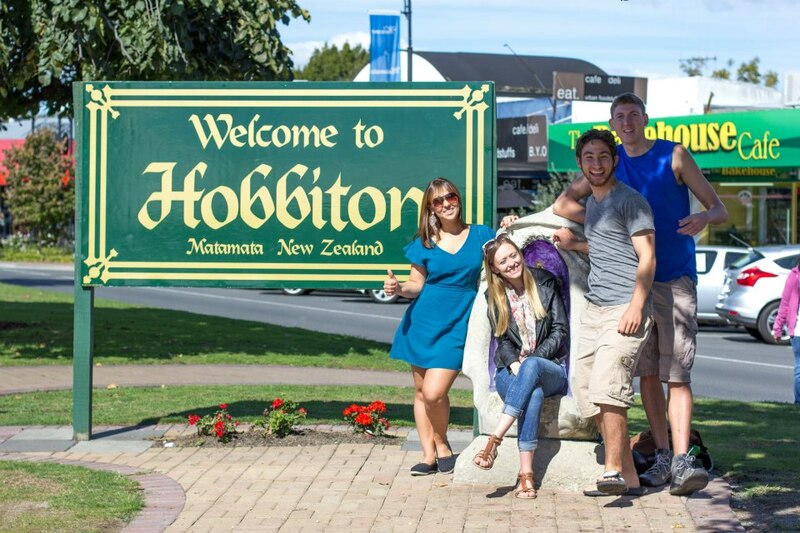 Today Pierce, Rob, Gemma and I took a trip back to Hobbiton to visit the Shire. The Shire is J.R.R. Tolkien‘s fictional Middle-earth that appears in The Lord of the Rings and other works. The town is inhabited by Hobbits who each live in a unique Hobbit Hole. 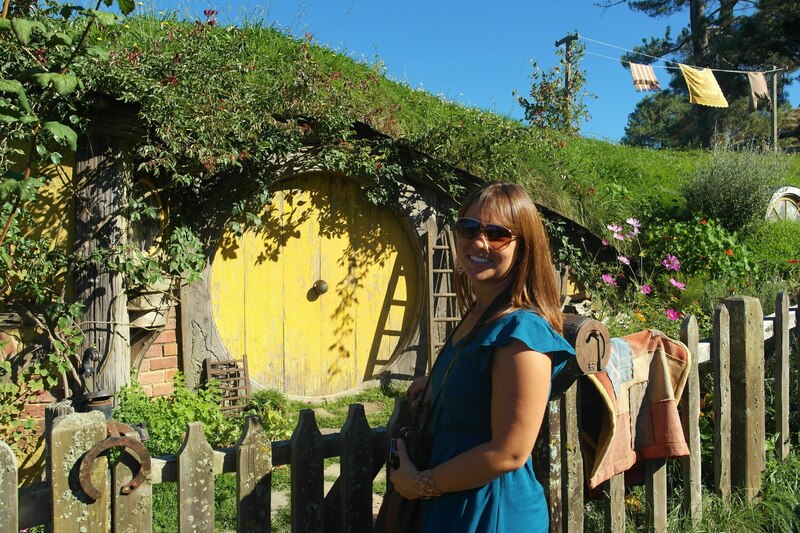 After visiting today, I want to live in a Hobbit Hole! The Shire was picture perfect and so beautiful. Each hole had a different colored door and was surrounded by lush greens and bright flowers. The tour was 2 and a half hours and costs $75 but if you are a LoTR fan, it is well worth it. I am fact am not the biggest fan of the film, I have fallen asleep all six times I have tried to watch it, but after visiting today I am going to force myself to stay up and watch the film. During the tour we walked through the small path intended for the Hobbits and our tour guide talked about the history of the set and about the filming process. All three films were shot here during the same filming time and the original site was partially demolished after the filming had ended. It took a crew of 750 people and 200 trucks to get the job done in just under a year of filming. During the filming, everyone who lives in Hobbiton was forced to sign a non-disclosure agreement promising never to reveal where the films were made until after the movies had come out in theaters. There was clearly a change in plans and the Shire was restored to look identical to the original set. They even have the same landscapers to ensure that ever single flower is the same as it appears in the movie year after year. The filming process was quite complicated and we got to learn about all of the different tricks. For example, during Bilbo Baggins’ one-hundred-eleventh birthday, the sunset scene behind Bag End was filmed backwards in many short segments during sunrise because the sun would be setting in the wrong direction. 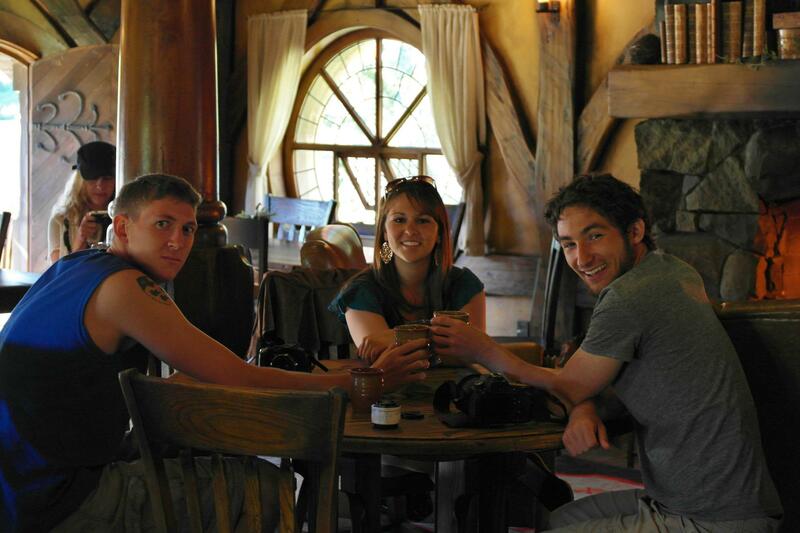 We ended our tour in the Green Dragon Pub and had the privileged of tasting the beers made solely for the Green Dragon. I tried the Girdley fine Grain which is an Amber Ale and it was very tasty. Pierce and Rob had the Oakbarton Brew which is a darker traditional English Ale and Gemma had the Sackville Cider, which was the best apple cider I have ever tasted. We enjoyed our beverage in front of the fireplace and it was the perfect way to end a lovely day!